Harry is a very sweet boy who loves a good cuddle. 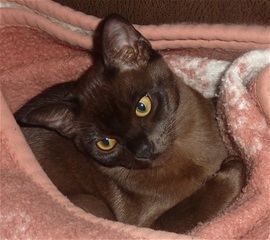 He descends from my very first burmese lines, parents are (N) Kattehula's Emmilou and (N) Kattehula's Bajaz. Morgan was born January 19th 2018 and is imported from Mette Lambert in Denmark. 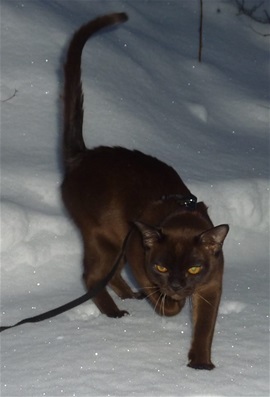 Morgan is from outcross lines and we expect his new bloodlines will benefit the burmese breed in Norway.